​You can also download Lexibar to add accent marks into your writing. 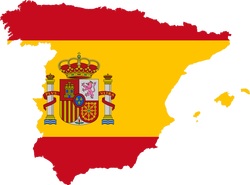 Watch TV shows in Spanish here! In Spanish I students complete Checkpoint A of the NYS syllabus in order to meet the initial high school graduation requirement of one LOTE credit. In addition, some students will be given the NYC Second Language Proficiency Exam in June as an opportunity to earn the required LOTE credit. In Spanish I students begin to develop listening and speaking skills that will enable them to understand simple spoken Spanish and engage in conversations in which they may talk about themselves, persuade someone to take a course of action, and provide or seek information about a variety of everyday topics. Reading skills at this level involve the interpretation of a variety of basic authentic materials (e.g. advertisements, tickets) and simple narratives. In writing, students learn to meet the purpose of a task (e.g., to provide or seek information) with appropriate vocabulary and structure at reasonable length. In addition, students will acquire an understanding and develop an appreciation of cultures other than their own. This course meets the NYS standards for Communication and Culture at the Checkpoint A level. Please feel free to email me with any questions or concerns!